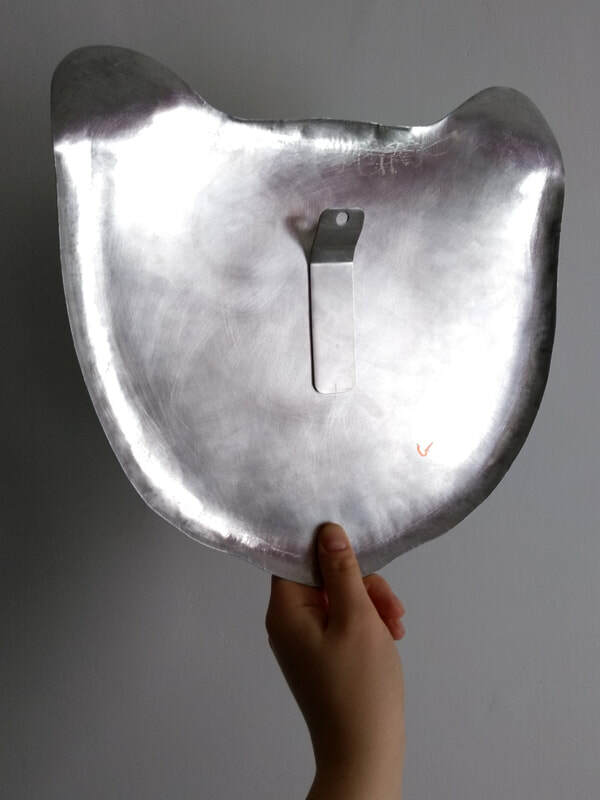 Reclaimed .032 aluminum is hand cut and hand hammered into this unique wall art piece. 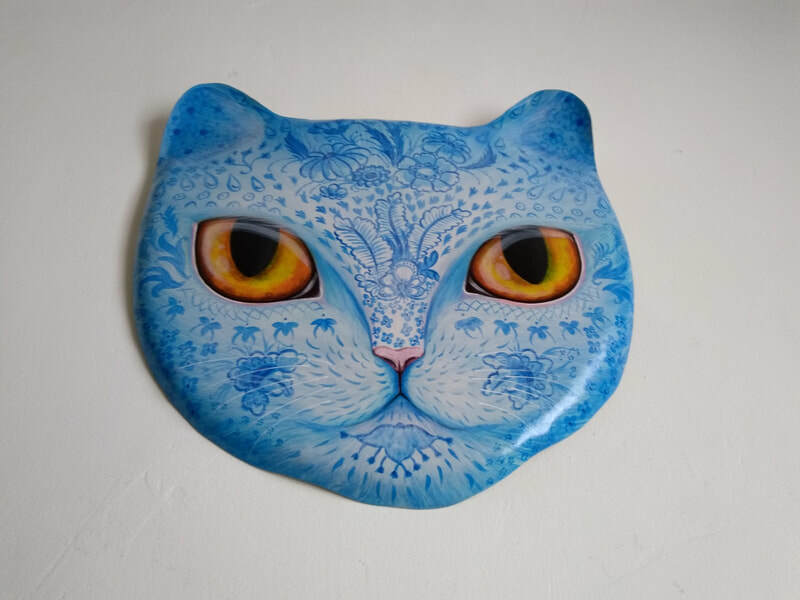 The sides of the cat's face are gently curved and the ears are hand hammered in the other direction, to point outward in a charming fashion. 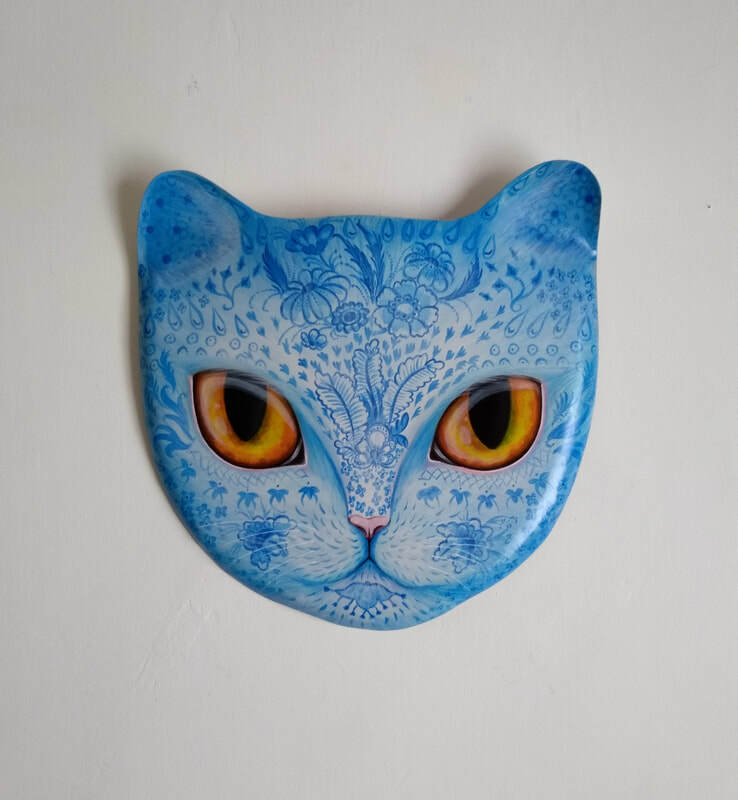 The piece is entirely hand painted and one of a kind. 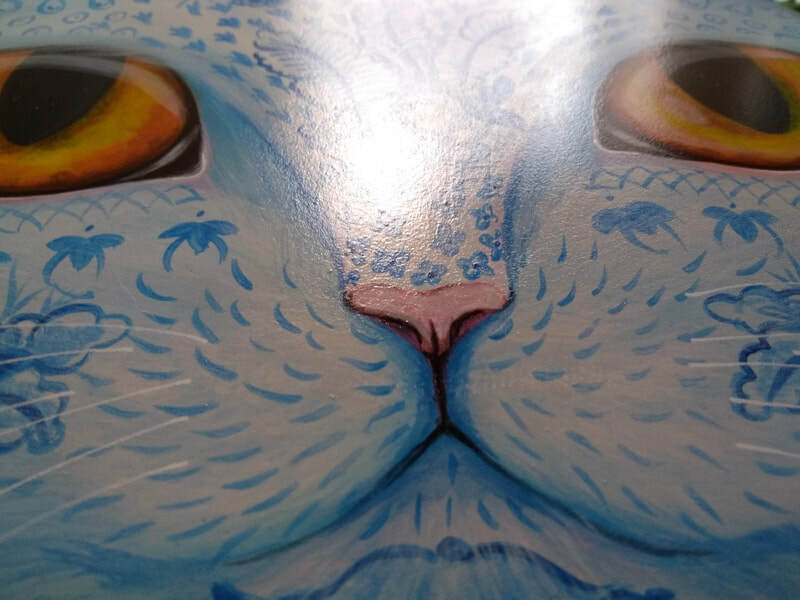 I began by painting all of the fur in white with gentle blue shading. 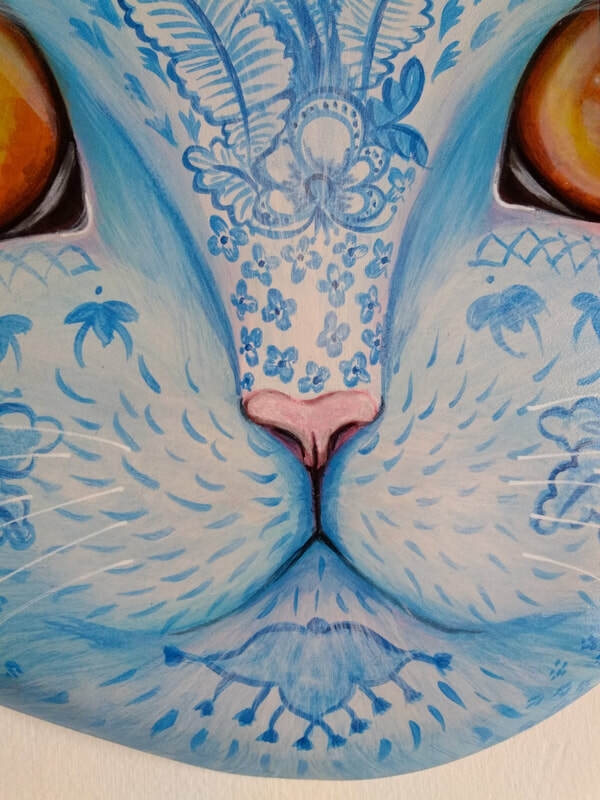 The eyes are a stunning contrast in complementary shades of vivid orange and yellow. 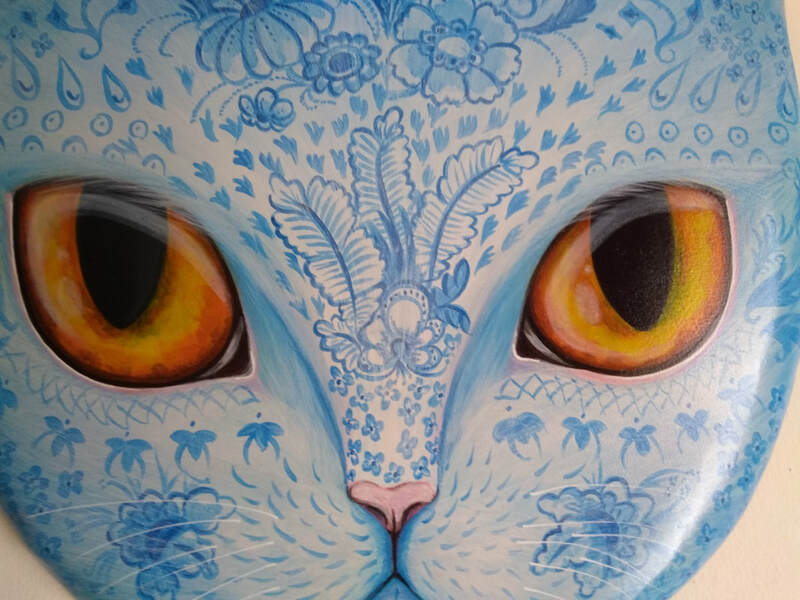 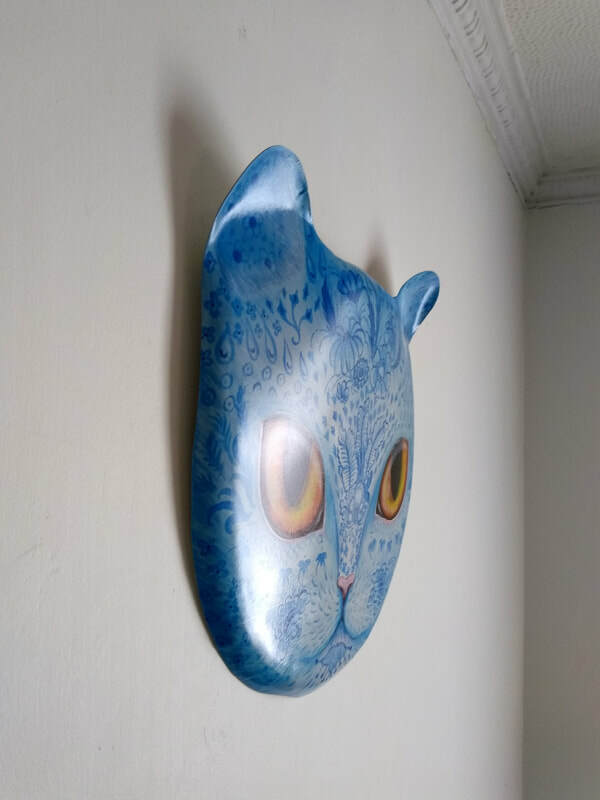 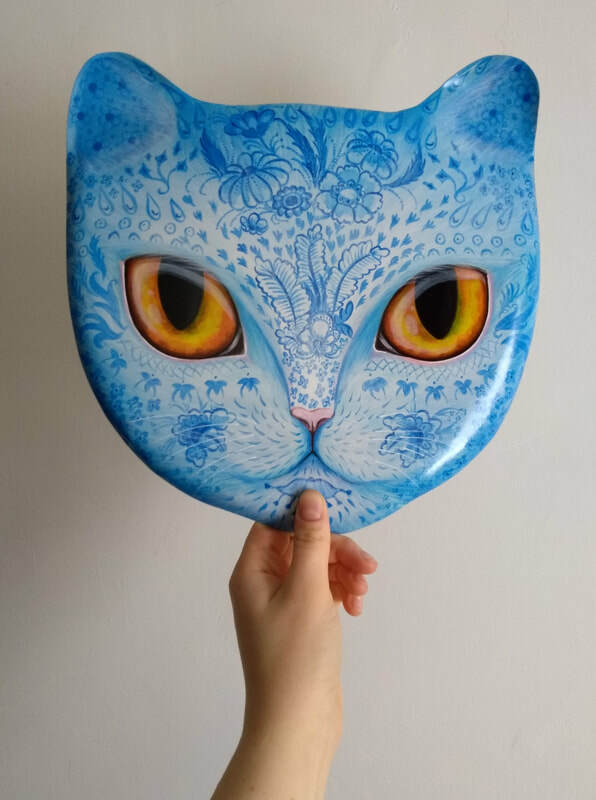 Delft florals were then hand painted with loose symmetry over every element of the cat's face. 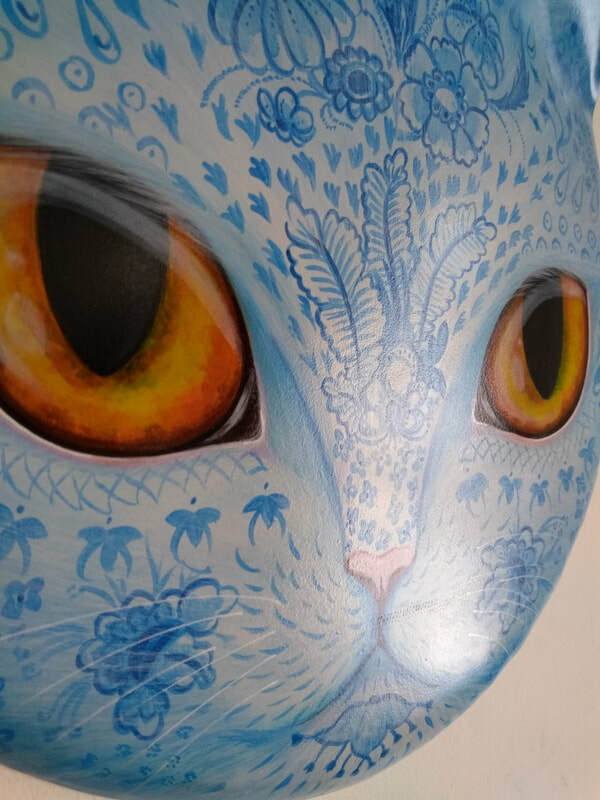 The final touch was to overlay subtle white streaks with a dry-brush technique, to make it appear that the delft design is somehow an organic part of the fur.